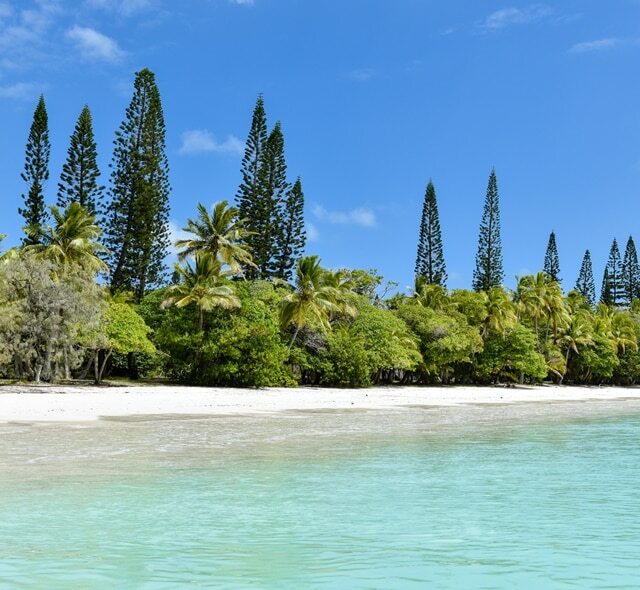 This gem of southern New Caledonia is known as “the closest island to paradise.”Bathed in crystalline waters, Isle of Pines is an ocean of light with floating outrigger canoes that are the pride of its inhabitants, the Kuniés. Embark aboard one of these perfectly crafted boats to sail the calm waters of Upi Bay. Separated from the ocean by a coral reef teeming with tropical fish, you may go for a swim in an enclosed lagoon known as the Natural Swimming Pool of the Isle of Pines. For the ultimate private island experience, be sure to visit the pristine Nokanhui atoll.